Phoenix, AZ, USA (November 14, 2016) – Amnio Technology, LLC, a leading manufacturer of advanced regenerative allografts derived from human amniotic tissues, announced today award of new and unique Level II Healthcare Common Procedure Coding System (HCPCS) reimbursement codes on behalf of its PalinGen® and ProMatrX® line of products. The Centers for Medicare and Medicaid Services (CMS) established code Q4173 for the PalinGen® Membrane and XPlus Membrane family of products, per square centimeter. Code Q4174 was established for PalinGen® Flow, SportFlow and ProMatrX® ACF cryopreserved liquids, 0.36 mg per 0.25 cc. These reimbursement codes take effect January 1, 2017. The PalinGen® and ProMatrX® line of products are human allografts processed from healthy placental tissues. Amniotic tissue is a rich source of biologically active factors involved in tissue regeneration and wound healing with reported anti-inflammatory, anti-bacterial, reepithelialization, and anti-fibrotic properties. Therefore, amniotic tissue is considered to be an attractive wound biomaterial. Amnio Technology, LLC is a global leader in the development and use of amnion-derived technologies. The company is focused on optimizing the regenerative potential and clinical use of these unique tissues. PalinGen® and ProMatrX® products do not require fetal sacrifice and recovery is performed with maternal consent during elective Cesarean delivery. Donor tissue is recovered using one of the safest recovery techniques and sterile equipment to minimize bioburden contamination. The amniotic tissues are procured through a network of qualified and trained recovery partners, following stringent screening and recovery protocols in a highly controlled processing environment. 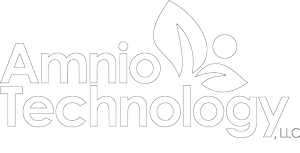 Amnio Technology enhances the gift of human birth tissue donation by developing, processing and distributing innovative allografts that provide regenerative therapies to improve quality of life. PalinGen® and ProMatrX® are Registered Trademarks of Amnio Technology, LLC. All other trademarks are the property of their respective owners.